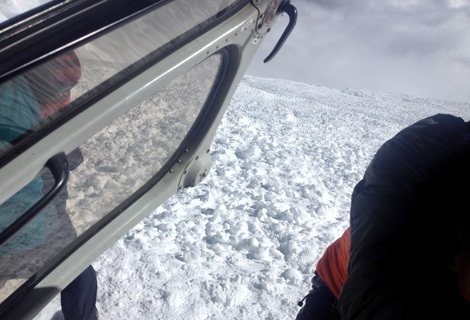 manaslu avalanche – Summit Helicopters Pvt. 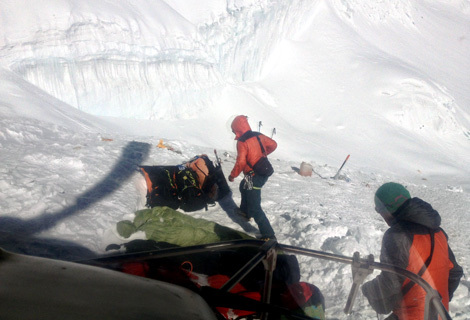 Ltd.
Avalanche at Manaslu Base camp swept away expedition members! 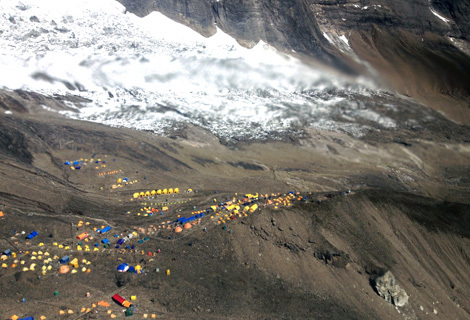 An avalanche occurred at Camp III of the Mt. Manaslu at 7,300 meters at around 4 am on 23rd September. 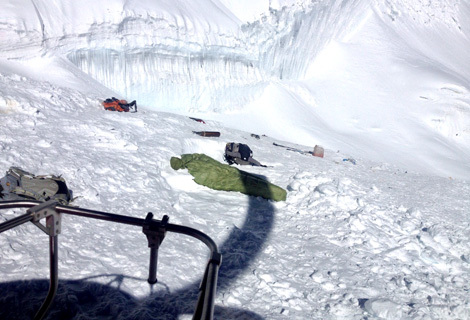 The climbers were most possibly sleeping when they were hit by the snow. 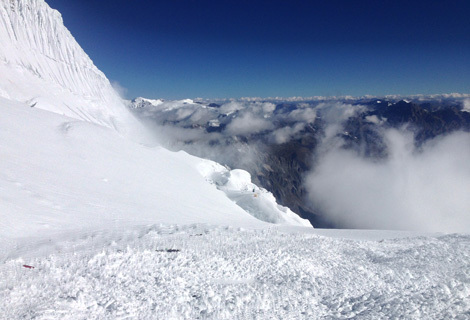 Even though an official data and the name lists of the victims has not been made clear by the officials, it is believed that some twelve climbers have gone missing, thirteen injured and some 8 people have been identified as deceased. Chopper of Fishtail Air is carrying out the search and rescue operation at the moment. Captain Steven Bruce Bokan is in command of 9N-AJI helicopter for this search and rescue operation. According to Capt Bokan, the toll may increase as the time passes by and because of the adverse weather the operation has been more so difficult. Most of the victims hail from Germany and France. All those injured so far have been immediately transferred to hospital in Kathmandu for medical treatment. Our efforts are still on and we hope to rescue all the possible survivors and pray for those who could not make it back to life. May the departed rest in peace.